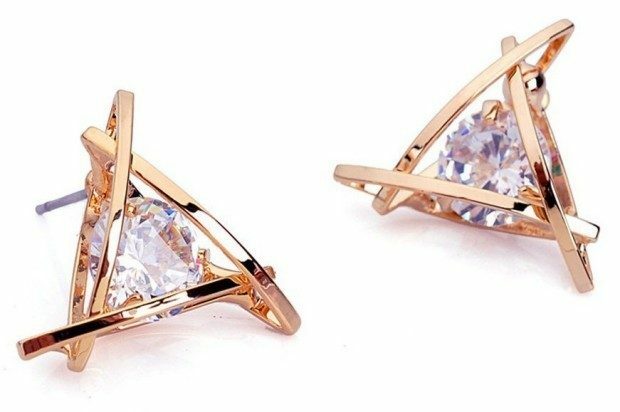 Rose Gold Swarovski Crystal Triangle Earrings Only $2.95 + FREE Shipping! You are here: Home / Great Deals / Amazon Deals / Rose Gold Swarovski Crystal Triangle Earrings Only $2.95 + FREE Shipping! Head over to Amazon to order these Rose Gold Swarovski Crystal Triangle Earrings for Only $2.95 + FREE Shipping! Lead and nickel free product.